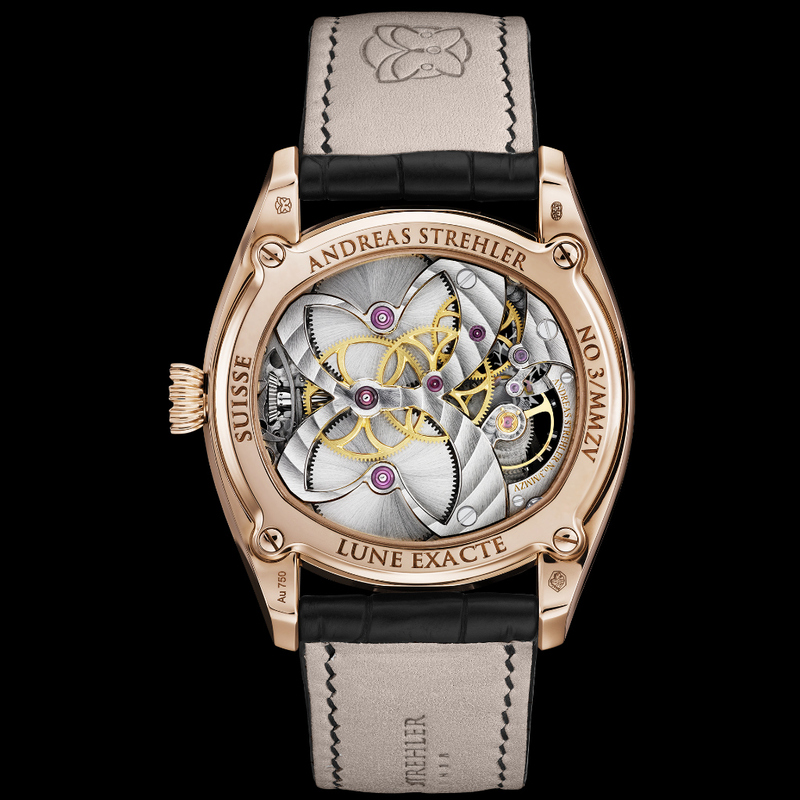 The Lune Exacte features a new patent pending high precision moon age indication, and Andreas Strehler’s patented remontoir d’égalité. It also happens to be the most precise phase of the moon indication ever built in a wristwatch. The Lune Exacte is the logical next step of the Sauterelle à lune perpétuelle which features a phase of the moon indication with a precision of one day in two million years. 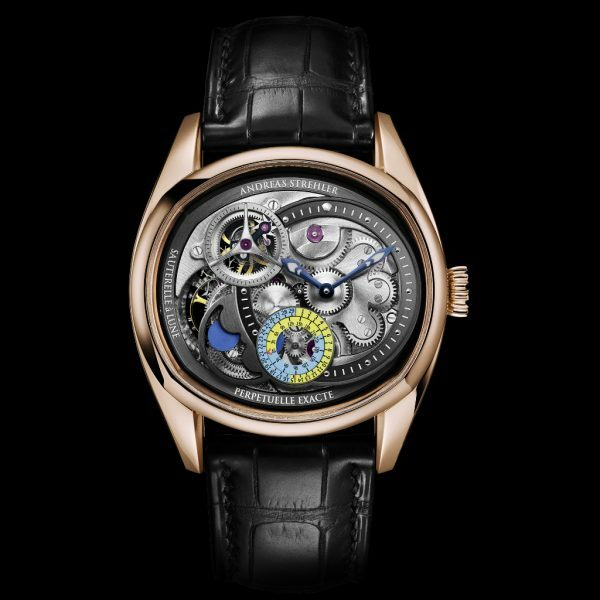 In 2014, this feat of engineering earned the Sauterelle à lune perpétuelle an entry in the Guinness Book of World Records. A record that still stands to this day. 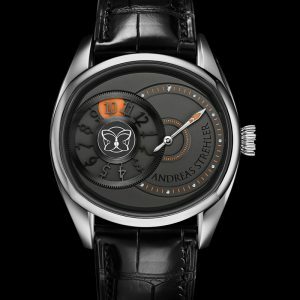 This exceptional wristwatch can be read and set to an astonishing three hours at any time, thanks to its new and patent pending mechanism. This high precision moon age indication displays the age of the moon in days and further increments of three hours. 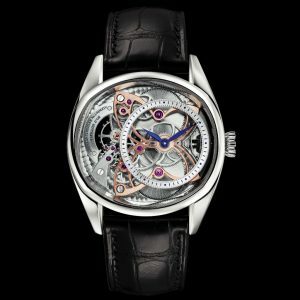 Movement: Calibre Sauterelle Lune Exacte, hand winding, 184 parts, frequency 3 Hz / 21‘600 A/h, 32.0 x 30.0 mm, height 5.9 mm, 25 jewels, patented remontoir d‘égalité, double main spring barrel, edges bevelled and polished by hand, fully decorated movement.